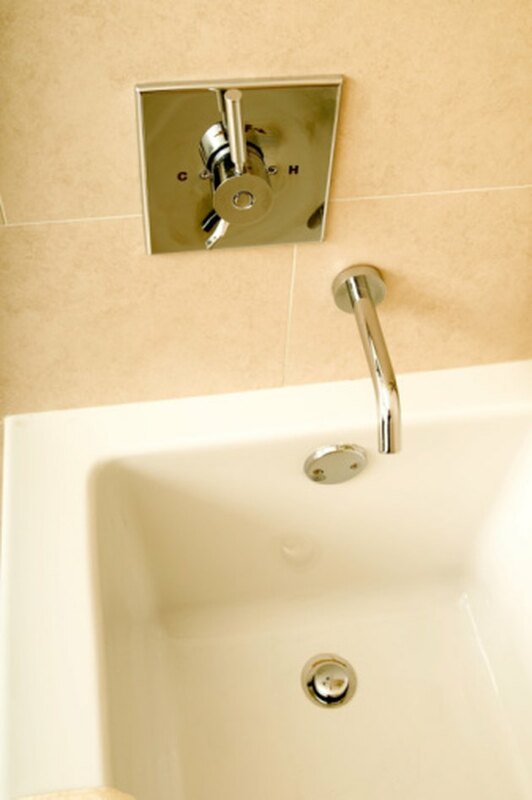 Bath tubs can begin to drain slowly as clogs grow over time. Soap pieces, soap scum, and hair accumulate in the drain, making the water from the tub drain out slower and slower. Home owners can sometimes fix the problem with a simple solution of baking soda and vinegar, but if that is ineffective you may have to do some simple plumbing to remove the clog. The overflow plate is just above the drain. Remove the drain stopper from the tub, if you have one. Pull off any hair or soap built up around the arm of the stopper, which can cause a tub to drain slowly. Pour three-quarters of a cup of baking soda down the drain. 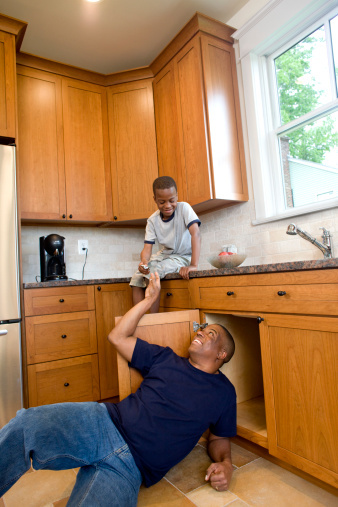 Add one-half of a cup household vinegar and immediately cover the drain with a cloth until the bubbling stops. Wait 30 minutes. Boil a kettle of hot water and pour the entire kettle down the drain to rinse any loosened clogs away. Bend the last 2 inches of a piece of wire into a fishing hook shape. Insert the wire into the drain slowly, moving it back and forth until you meet resistance. Hook the clog and pull it up and out of the drain. Do this if the baking soda and vinegar did not increase the drain rate of your tub. Hold a wet cloth over the bottom holes in the over flow plate, which is the round metal plate above the drain. Hold a plunger over the tub drain and push it up and down until the clog comes loose. Do this if your wire could not reach the clog, and the drain continues to run slowly. Remove the overflow plate completely with a screwdriver. Insert 30 inches of the cable auger into the overflow tube and begin turning the crank on the back of the auger to push the cable forward. Continue cranking until the resistance you feel from the clog stops. Turn the crank the opposite direction to get the cable back. Turn on the hot water and let it run for two to three minutes. Screw the overflow plate back on and replace the stopper.